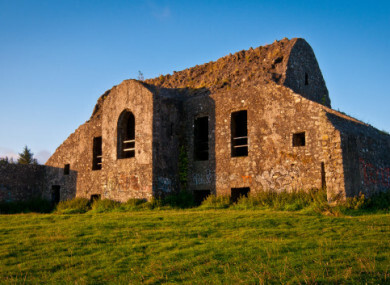 THE PLANNED REDEVELOPMENT of the Hell Fire Club in the Dublin Mountains has been postponed for another year as result over concerns of the effects it could have on a bird of prey species. An Bord Pleanála has written to South Dublin County Council saying that a bird survey it carried out on the potential impact of the development on the merlin bird of prey population was not adequate, and that further surveys were needed. ABP has given the council until February of next year to address this and other concerns, meaning the planned development of the historic site will be put back by another year. The proposed development incorporates a visitor centre at the Hell Fire Club – a 1700s shooting lodge overlooking the city at Montpelier Hill and a popular location for tourists and walkers. SDCC said the development will provide a ‘gateway’ to the area around the Hell Fire Club. At an estimated cost of €18 million, the council said the centre would be constructed from natural materials and integrated into the landscape “with extensive panoramic views of Dublin City”. It has been highly controversial since it was proposed, with multiple submissions from concerned parties expressing opposition to the development. In its letter, ABP said that SDCC had noted in its own Bird Survey report that the merlin was difficult to survey. ABP said it noted that the survey undertaken was limited and that it was undertaken in summer of last year. It said that it was not satisfied that the survey was adequate or that the potential impact on the merlin was properly addressed. It said that SDCC must undertake additional bird surveys in optimal conditions to address the concerns. It also asked that a Natura Impact Statement be prepared which will look at the effect of the development on nearby conservation areas. The Save The Hellfire group is strongly opposed to the development and say they have a petition signed by 20,000 people in opposition to it. Email “Controversial Hell Fire Club redevelopment put on hold due to potential effect on local bird of prey”. Feedback on “Controversial Hell Fire Club redevelopment put on hold due to potential effect on local bird of prey”.